Pastel värvilised geelid There are 15 products. Heledad ja pehmetes toonides pastel värvilised geelid on keskmise paksusega, isatasanduvad ja mugavad küünele kanda. 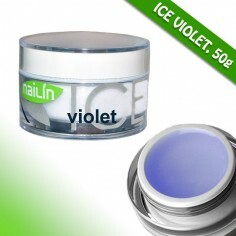 Beautiful pastel color gel with trendy colors, which enrich the look of your nails. Perfect cover, medium-thick. 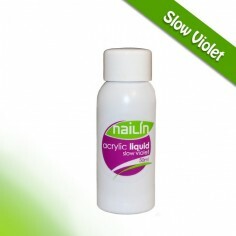 Pastel gel covers the nail exceptionally well and should be applied with 1 or 2 layers. Cures in 36W lamp in 2 minutes. Gel is in acrylic jar. Beautiful color gel with metallic shine. Trendy and dynamic colors, which enrich the look of your nails. Perfect cover, medium-thick. 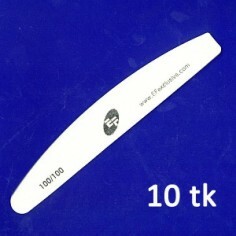 Perfect to glamorous addon on nails and tips. Experience incredible visual effects. 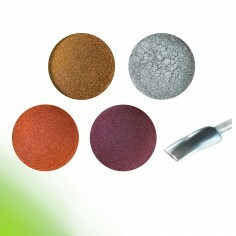 Metallic color pastel gel covers the nail exceptionally well and should be applied with 1 or 2 layers. Gel is in acrylic jar. Beautiful color gel with metallic shine. Trendy and dynamic colors, which enrich the look of your nails. Perfect cover, medium-thick. Perfect to glamorous addon on nails and tips. Experience incredible visual effects. Metallic color golden gel covers the nail exceptionally well and should be applied with 1 or 2 layers. Gel is in acrylic jar.